The United States Department of Justice—as expected—has announced it plans to seek extradition of arrested Huawei CFO Meng Wanzhou, currently held in Vancouver. The U.S. said during its press conference it was “deeply grateful to the government of Canada” for following the rule of law. Meng was arrested at Vancouver International Airport in December, during a layover ahead of her final destination in Mexico. The CFO made $10 million bail and currently is staying at one of her Vancouver area mansions. The arrest of the Huawei CFO has deteriorated Canada-Chinese relations. China retaliated to the arrest by detaining two Canadian men, while sentencing a third Canadian to death, a harsher penalty than originally charged for drug smuggling. On Saturday, Prime Minister Justin Trudeau fired Canada’s ambassador to China for speaking publicly to media about the Huawei case, with the latter’s comments favouring Meng’s possible defence against extradition. Canada’s allies such as the U.S., Australia and New Zealand have banned Huawei equipment for next-generation 5G networks. 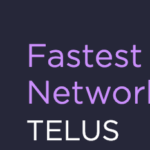 Canada is under pressure to do the same, despite carriers Telus and Bell working with Huawei for 5G. A security review of Canada’s 5G network plans are underway from the federal government but the results aren’t expected until later this year.